Immobilization of midshaft or distal femur fractures is thought to decrease pain for the patient during transport and to decrease the amount of bleeding and hemorrhage. Application of a traction splint, however, is a somewhat uncommon, and therefore potentially unfamiliar, procedure. A look at the literature on the use of traction splints in the prehospital environment shows that they are used uncommonly. And, when they are used, they are frequently placed incorrectly. 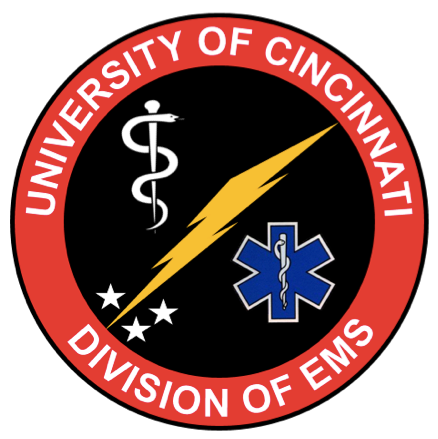 A retrospective review of pediatric trauma patients (in the Cincinnati area) from 2001 to 2007 published in the Journal of Emergency Nursing found only 38% of patients admitted with a diagnosis of femur fracture received a traction splint in the prehospital environment (Daughtery, et al, 2013). Of the 116 Hare traction splints placed in the prehospital environment only 34% of them were deemed to have been properly placed on analysis of radiographs. The retrospective nature of this review poses some limitation in the applicability of this data. Its not known how many of the patients diagnosed as having a femur fracture on admission had a significant deformity in the prehospital environment that should have prompted the placement of splint. Likewise, it is not known whether, in the process of moving the patient from cot to stretcher, movement of the traction splint occurred thereby deeming it “inappropriately applied.” A review of 1 year’s worth of EMS runs in a smaller sized American city published in the American Journal of Emergency Medicine found that patients necessitating traction immobilization were quite uncommon (Abarbanell, 2001). Out of a total of 4,513 patient runs, only 5 patients had significant midshaft femoral trauma as was noted by the paramedics. Only 3 of the 5 had traction placed. The American College of Surgeons recommends traction splints for femur fractures if NO other fractures of the lower leg are present. Since the traction splint applies force proximally through the buttocks and groin and distally through the ankle, the presence of an ankle fracture will make it impossible to apply traction and align the fracture fragments. If there are concomitant fractures of that same leg, simply binding the leg to the opposite leg can prevent significant movement during transport (kinda like buddy taping fingers, just on a grander scale). When applying the traction splint, you should take care when tightening the mechanisms as there have been reports of perineal nerve injuries with overzealous application of traction. As with any extremity injury, a good neurovascular exam before and after application of the splint is an absolute must. There are a number of commercially available traction devices. The Hare traction is the one found in the SRU and in many Emergency Departments throughout the world. On Air Care & Mobile Care we carry the KTD Traction Splint. It is significantly more compact and lighter than the Hare traction splint. It can be a little intimidating the first time you have to put this on a sick patient on Air Care as there are a lot of pieces and straps. The application, however, is actually quite simple as Dr. Steuerwald explains in the 2 videos below. American College of Surgeons (2012). Chapter 8 Musculoskeletal Trauma. Advanced Trauma Life Support Student Manual. 219-220.